Home » Kitchen Help Category » Flooring » Armstrong 5352 Embossed Inlaid Linoleum – the most popular resilient floor ever? 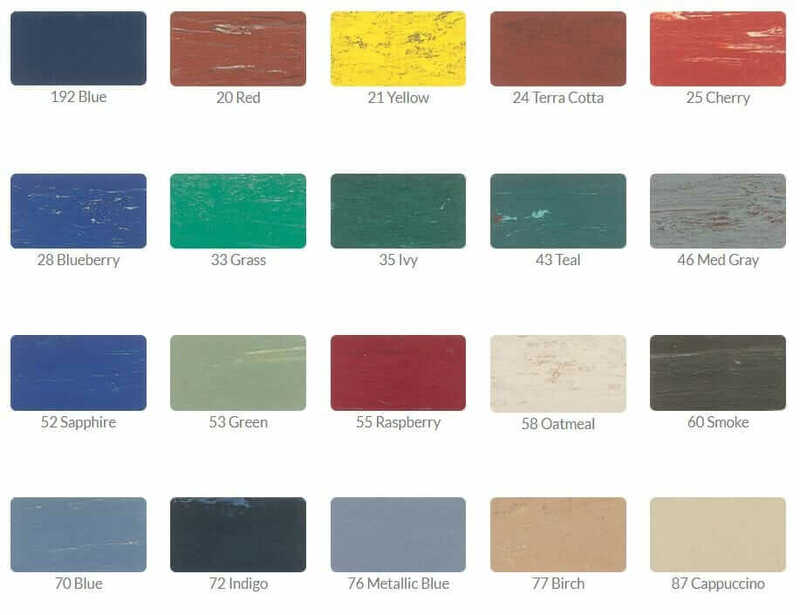 WIDE COLOR RANGE: As many as 38 colors may be used in a single design of Embossed Inlaid. 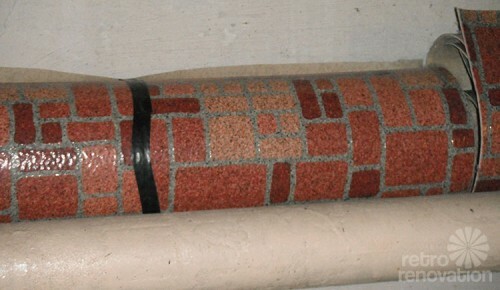 The use of mottled colors creates unusually rich effects. 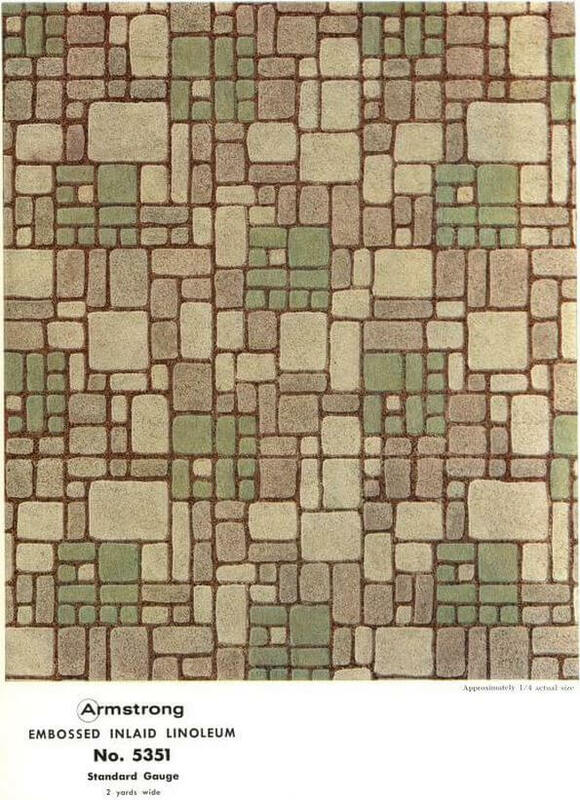 Armstrong’s Embossed Inlaid Linoleum patterns have long been famous for their wide color range and their subtle shading. KEYED TO BACKING: An adhesive coat on the burlap or felt backing helps to bond the mix and backing securely together under the pressure and heat of the giant presses. 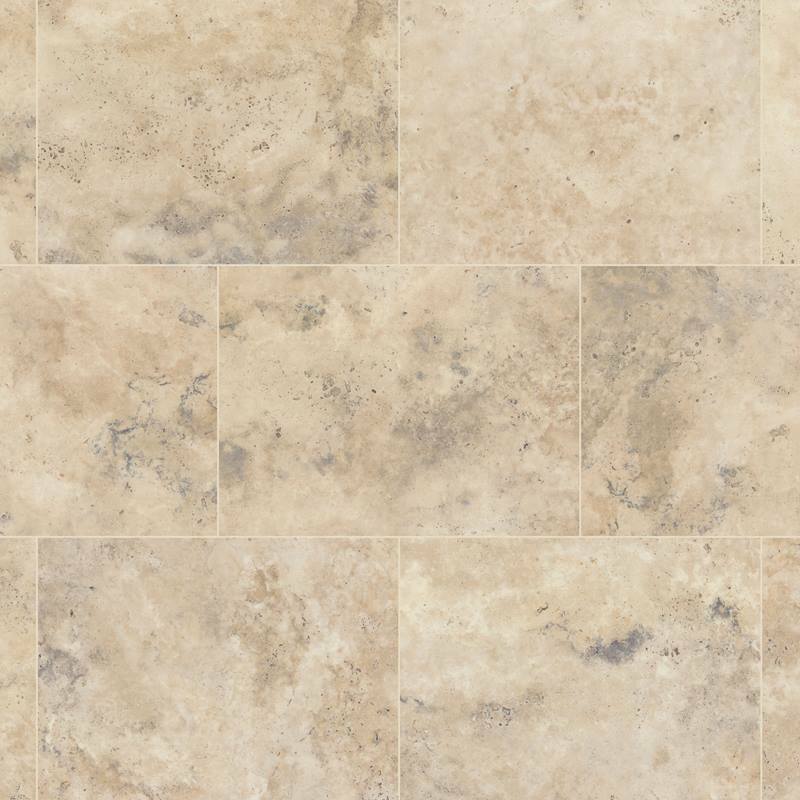 DURABILITY: Under the repeated pressings, the granulated linoleum mix is formed into a dense, unified sheet. After the final pressing and long baking in the maturing stoves, Embossed Inlaid has the long-wearing quality for which Armstrong’s Linoleum is known. STREAMLINE EMBOSSING: The top face of this press has an embossing plate which depresses parts of the design, creating a textured effect…. The unique streamlining of Armstrong’s embossing assures ease of cleaning. 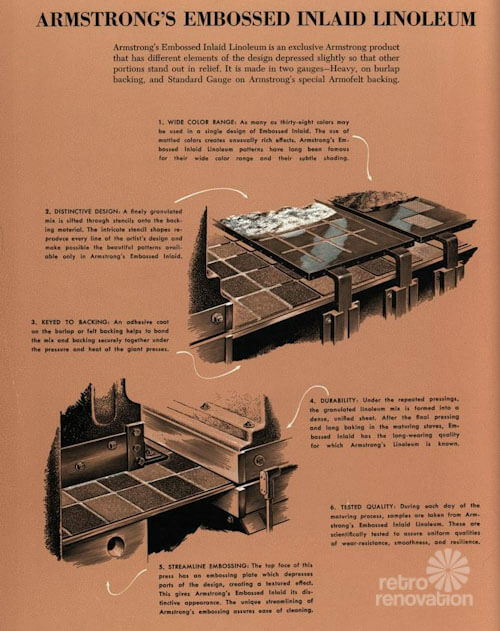 Precautionary Pam notes: I also want to relate that in her book, Powell says that while linoleum is known today for its use of renewable resources (cork, linseed oil, namely), heavy metals such as lead may have been used in the manufacturer of old linoleum. In particular, she points out that lead and other heavy metals such as cadmium and chromium may have been used in the pigments used for coloration. 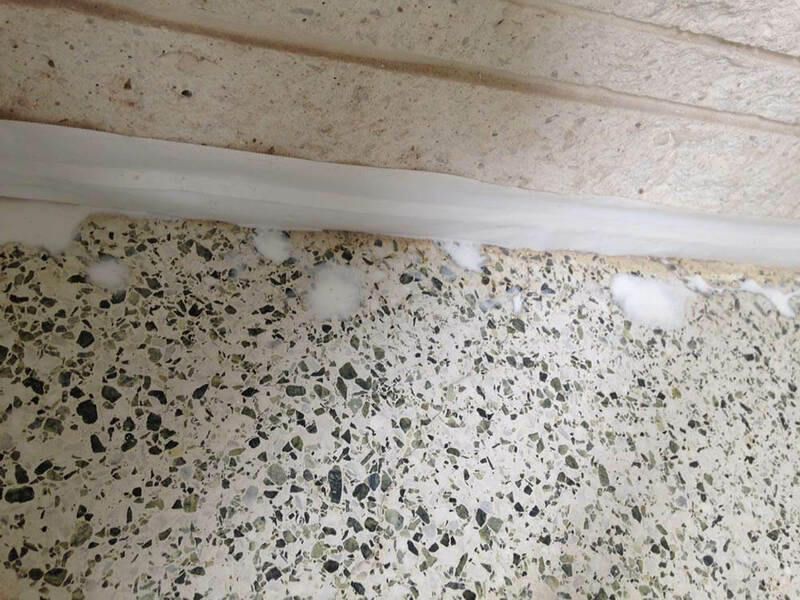 Other resilient flooring may have contained other hazardous materials such as asbestos; check adhesives, too. So — Precautionary Pam repeats: Be sure to test the materials in your old houses for vintage nastiness like lead, asbestos and more — get with your own properly licensed professional to determine what’s in your house and its layers, so that you can make informed decisions about how to handle. For more info and links see our Be Safe / Renovate Safe page. Armstrong 5352 — why was it so popular? Back to Armstrong 5352: Why was it so popular? 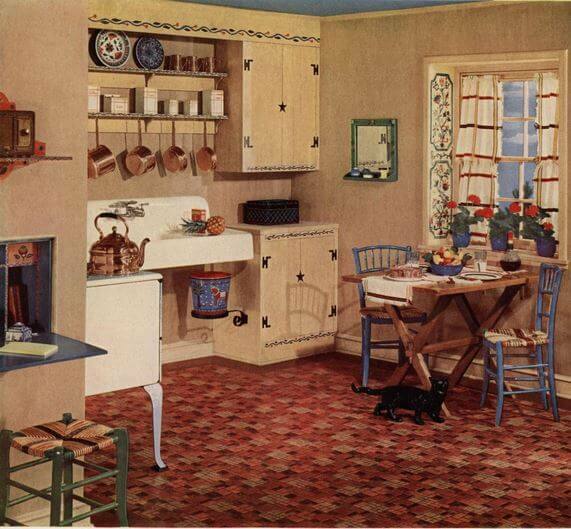 I will theorize that 5352 resonated for decades because so many American kitchens were “traditional” in overall character, year in and year out. This floor design — with its warm, essentially neutral colors — and with its evocation of timeless brick flooring — would have fit into many a kitchen. 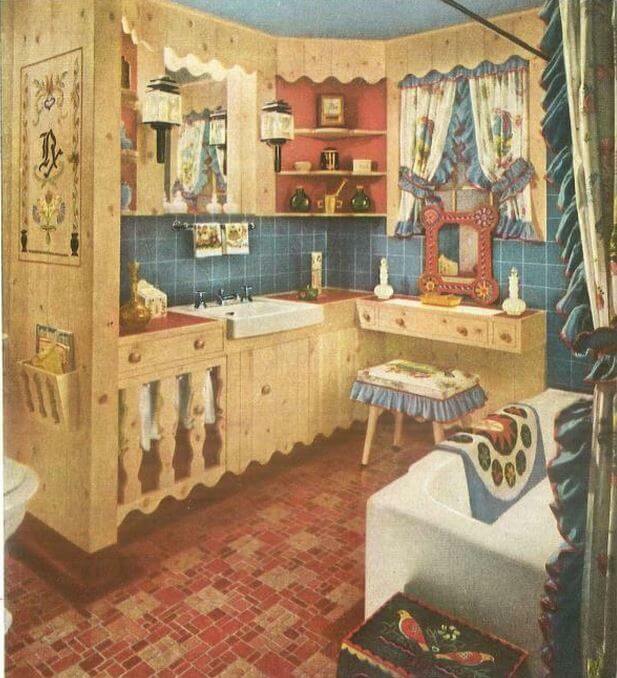 And we see variations, such as this Dutch Colonial delight. I am pretty sure that 5352 lasted well into the 1970s, at a minimum — see the photo below, Jon & Trixi found it in their 1960s house, covered up. By then, the material likely changed to vinyl or some sort of vinyl composite; test this old stuff and adhesives underneath for vintage nastiness such as lead and asbestos, too, please. To be sure, I can envision it successfully complementing dark wood cabinets and avocado and harvest gold appliances, too. Armstrong No. 5352 had legs. Oh, how it wish it were still available today! These old linoleum floors — amazingly amazing. Thanks to archive.org and the MBJ collection for making these images available via creative commons license. I have two partial rolls down in the basement a friend gave me. It was left in HER basement when the original owners sold them the house. Not sure what I want to do with it though. It’s not enough to cover any floor we have. I just knew I WANTED IT! We built our first home in 1978. 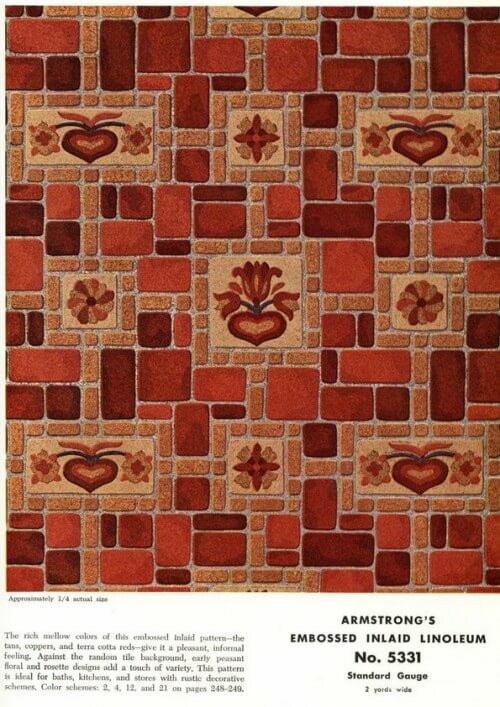 We had the more brown colors, pattern # 5352. We had it in the kitchen and the dining room area. 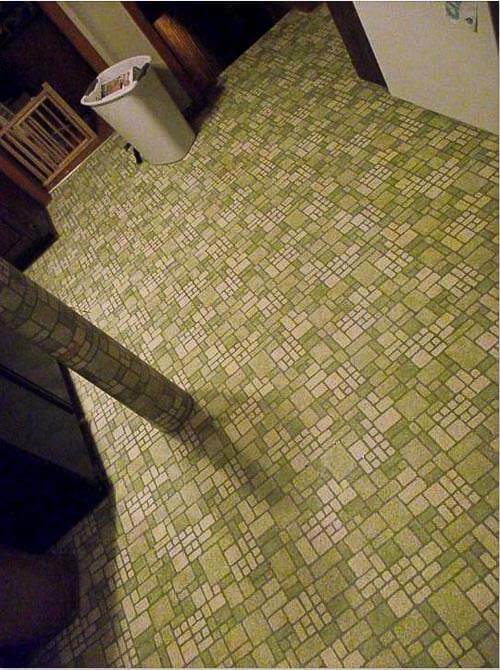 When my daughter and her husband bought their home, built in 1973, in 2013, they had the lime green and yellow pattern in their kitchen. 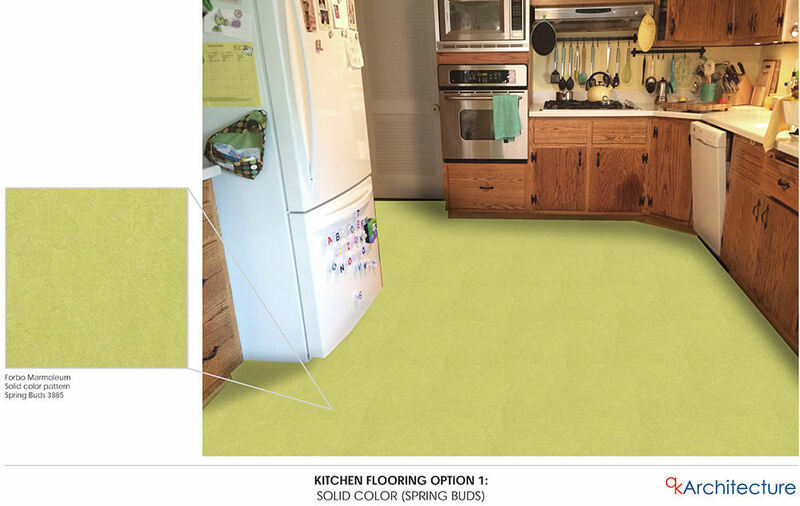 Now they have a reclaimed bowling alley floor in their kitchen and eating area. I WISH ARMSTRONG WOULD RE-ISSUE THIS WONDERFUL AND DURABLE PATTERN!!!! Perhaps if we all wrote and nagged them. 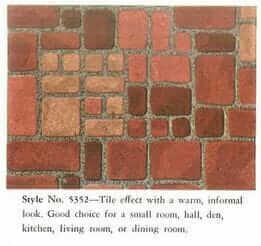 . . Not just this pattern, but so many of the beautiful old colors and patterns. What they have now is awfully bland. I totally agree!!! If you could find out the most direct person to address our pleas to, I bet we’d all write!!!!! Given that I just read an article about how much safer and healthier and better for the environment linoleum is as compared to vinyl, it seems very odd. Linoleum needs a press agent! Most of ’em look pretty bland, I have to say. Though you can do some special orders where they cut and insert pieces, it looks like. I’ll bet that costs a pretty penny. 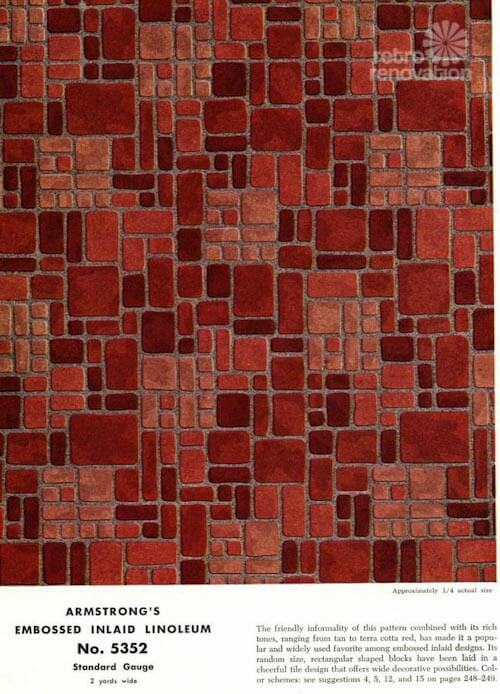 I would love to find a piece of Armstrong linoleum for sale for a vintage camper I am restoring. The dimensions I need are 7′ X 19′. If anyone has some for sale please let me know! Thank you. Hi John, no buying/selling in comments or else it would be chaos. Give Linoleum City in Los Angeles a call — maybe they have something for you. Our Tahoe home was built by my grandparents in 1935 and the great room floor is covered with 5352. It has some holes and a few cracks but otherwise is still going strong and polishes up marvelously!! Still holding out hope that someone will create a likeness we can use.